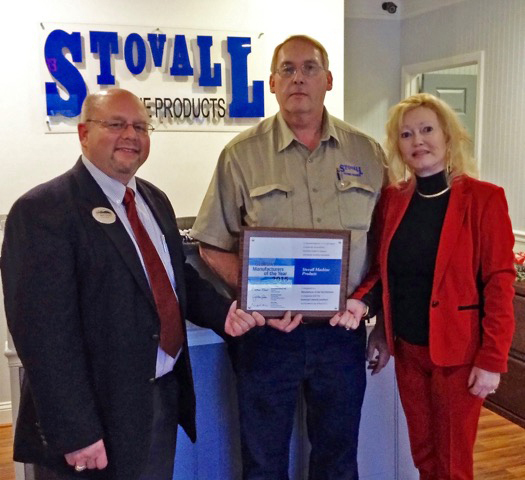 For more information on Stovall Machine Products, Inc., visit http://stovallmachineproducts.com/. For more information on programs of study at NGTC, contact 706-754-7700 or visit the website at www.northgatech.edu. Photo cutline: NGTC acting President Dr. Mark Ivester presents the small business Manufacturer of the Year award to owners Dwight and Rebecca Stovall.